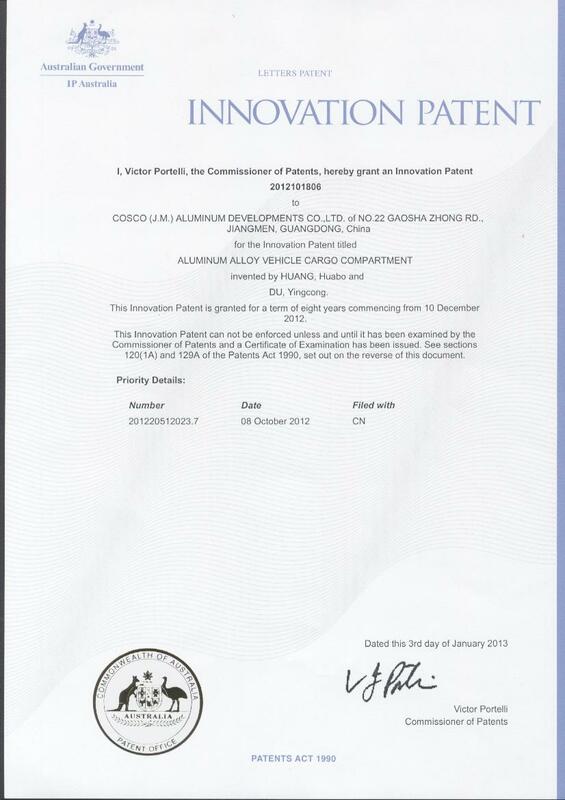 Company Overview - Jiangmen Cosco Shipping Aluminium Co., Ltd.
8YRSJiangmen Cosco Shipping Aluminium Co., Ltd.
Who we are We have been a professional one-stop manufacturer of aluminum extrusions since 1998. We offer alloying, tooling, extrusion, precision CNC machining, finishing and assembling services. 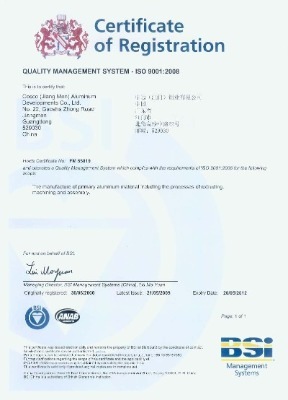 We have been ISO9001:2008 and IS0/TS16949:2002 certified and we are a subsidiary of COSCO GROUP. What we can do for you We have six extruders to manufacture profiles of different sizes. 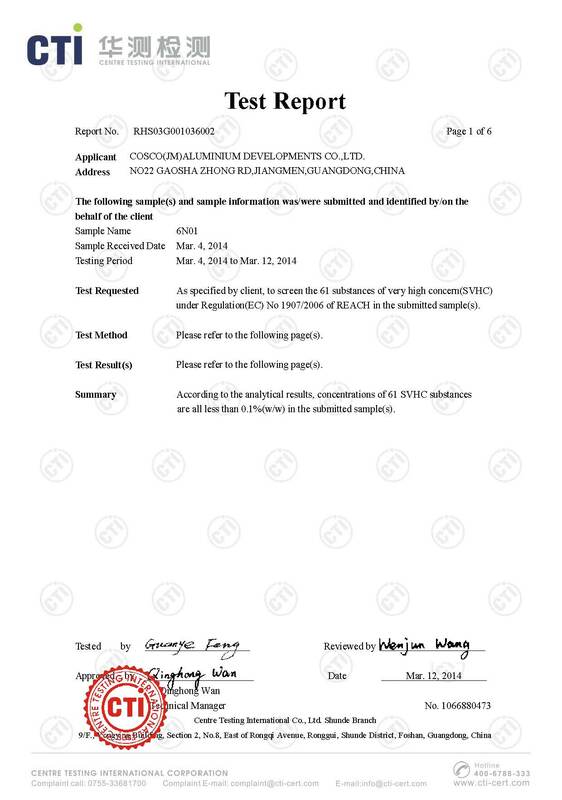 Our regular alloy includes 6063, 6061, 6N01, 6005, 6082, 6060, etc. We customize our extrusions according to your specific requirements by punching, drilling, bending, stamping, CNC milling and lathing services. We do polishing, sand blasting, clear or color anodizing, hard anodizing, powder coating, silk screening, etc. 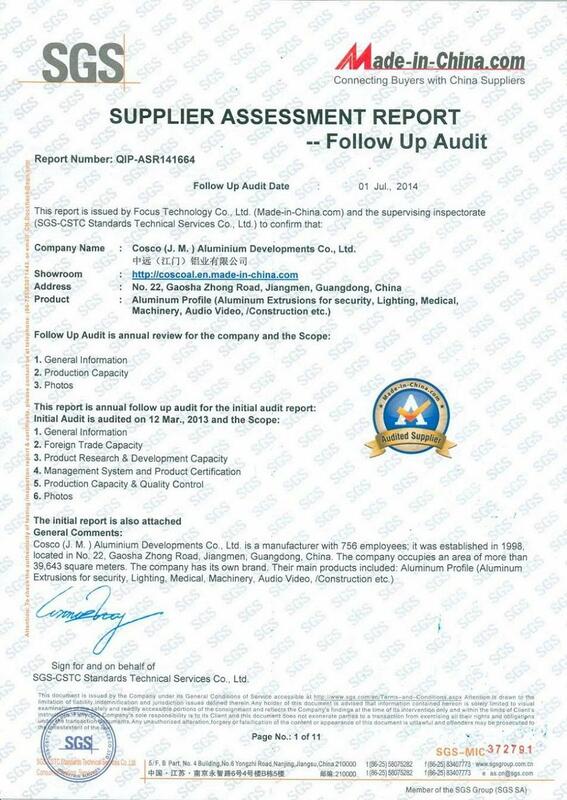 About our productsOur products include aluminum profiles, Tubes & Bars, Heat sinks, Face/End Plates (Panels), Cases & Enclosures and other industrial and constructional components which are widely used in industries of electronics, air-conditioning, TV, audio-visual equipment, coffee pots, telecommunication, safety and security, solar energy, military defense and machinery, transportation, automobiles, medical equipment, lighting, furniture, tents, skates, scooters, sewing embroidery machines, and so on.Reliable QualityWe are equipped with Spectrometers, Tension Test Machines, CMM, Salt Spray Testers and Sclerometers to test our materials and have well-trained QA/QC staff members positioned at each process to ensure quality. 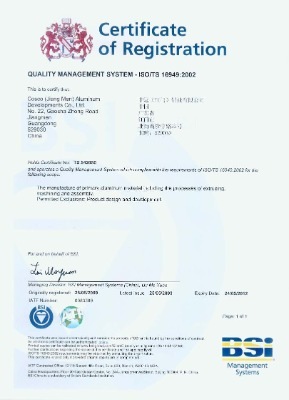 All products pass SGS and RoHS tests. Contact us now for more details. 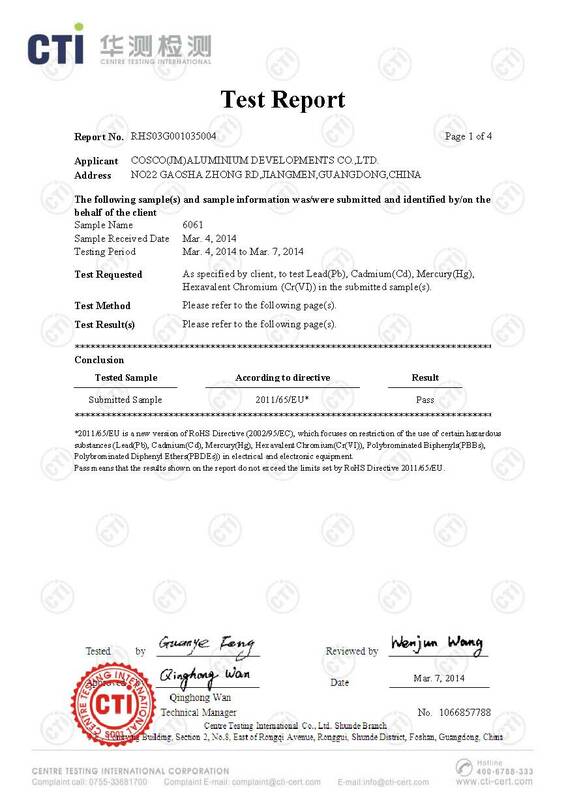 Aluminium alloy 6N01, 6061, 6063. Keeping faith is the foundation of our company, Our company always adhere to the concept of good faith service, strengthening the construction of credit institutions and institutions, regulating management behavior, manage according to law, committed to creating a win-win situation with customers to create strategic cooperation since the establishment of the company. 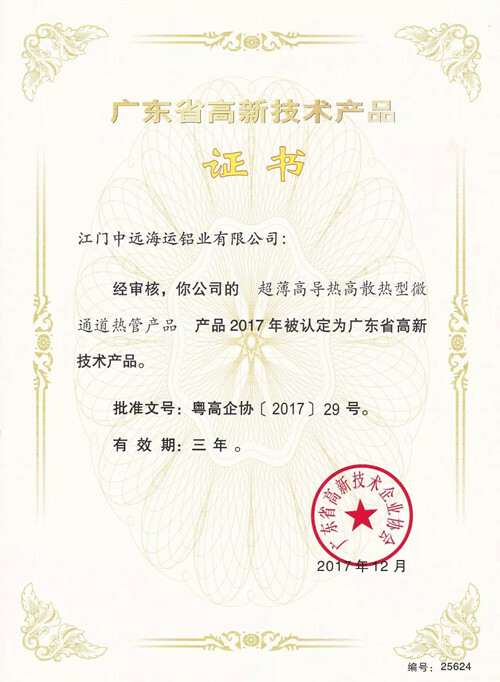 Jiangmen COSCO Shipping Aluminium Co., Ltd. Adhering to the service concept "Best attention even to the smallest details". 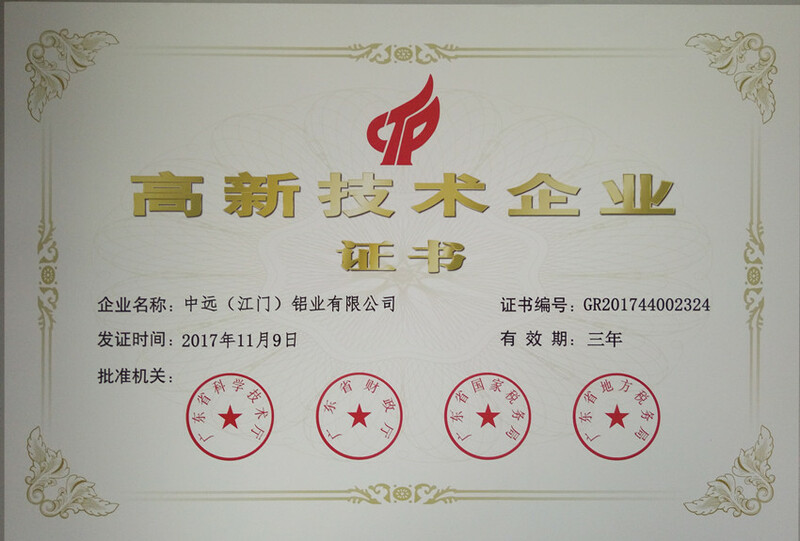 Winning wider market resources, Enhance the company's core competitiveness, The basic tenet is being a trustworthy enterprise to ensure our development and success. 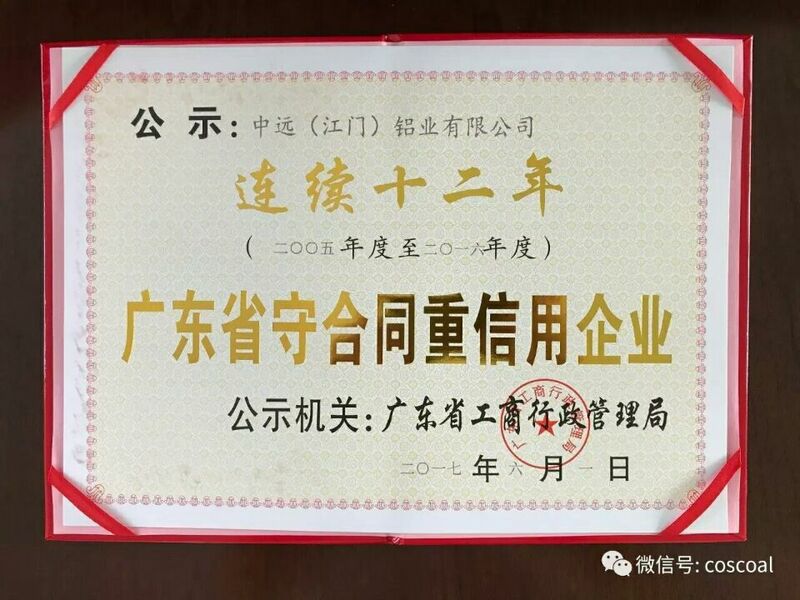 Department of science and technology of Guangdong Province. Our Product, corrosion and abrasive resistant and energy-saving aluminium tray body is awarded as the High-Tech Prodcut of Guangdong Province 2017. 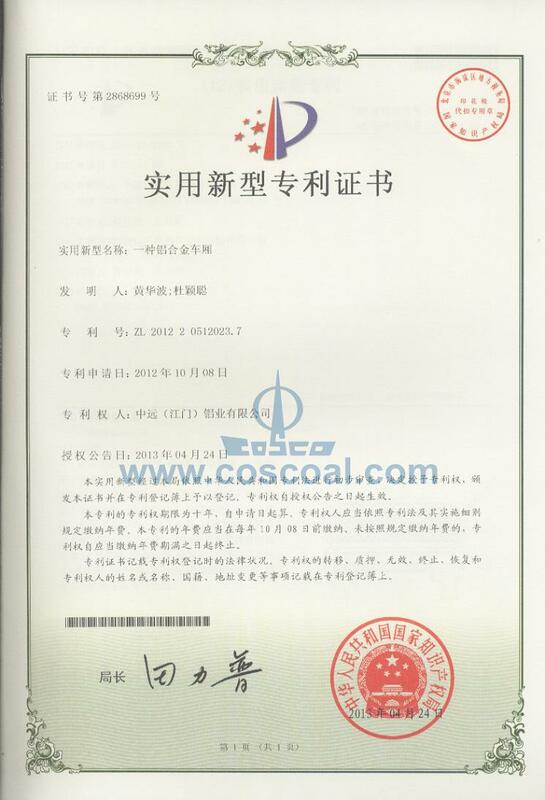 Jiangmen COSCO SHIPPING Aluminium Co., Ltd. for science and technology department of guangdong province, the departments of guangdong province, the state administration of taxation and local taxation bureau of guangdong province "high-tech enterprise certificate", issued by the joint through the verification of high and new technology enterprise, company thus entered the national high and new technology enterprise.